First, let me say, I have meant to read one of Rachel Vincent’s books for a while. I have all The Shifters books that she wrote…but unfortunately have never gotten a chance to read them because some other books took precedence. Now I’m regretting it. I borrowed “Blood Unbound” from my local library, and I tried to finish it in time for it was due, but unfortunately, I couldn’t due to my scheduled C-section and of course the healing time required in the hospital, while also taking care of a newborn. I ended up purchasing the Kindle version of the book to finish it. My thoughts on this book were I loved it. From the first page to the last page, it’s action-packed. It’s not my usual paranormal romance, and that is why I also categorized it in urban fantasy too. It also lacked the love scenes I’m used to…but that didn’t stop me from giving it five stars. I loved the characters in the book, especially Liv and Cam. Once I learned more about their characters and found out the dilemma, they were in, and I felt awful for them and just wanted them to be together. I should say, together again, but I don’t want to spoil the story for anyone. You have to read this book to find out why these two weren’t together anymore. There’s a chapter that goes over it. This was a fascinating storyline. I had never read a book about bounding someone to someone else, and it could cause extreme pain or death. It had me wanting more. What Liv has to do in this book, I felt sorry for her. She had to help her old friend Anne find her husband’s killer, but in the end, she also had to help save Anne’s daughter. She also had to do it because of a bounding she did a long time ago with her four friends. What is even crazier is that Liv is bound to Ruben, and Cam is bound to Ruben’s enemy, Tower. So, Liv and Cam are doomed from the very get-go in this book. They’re not supposed to be working together, but they are, but secretly which could cause them both Death. This book has twists and turns in it, which will leave you speechless. I will tell you this…pay attention to Anne’s daughter. You learn a lot about what and who is Anne’s daughter. The ending of this book had me upset though. Rachel, how could you leave me hanging like that. I wanted to know what Liv decided. I’m looking forward to the next book in the series, which won’t be out until this summer. That’s okay though gives me time to read other books and maybe even finally read “The Shifter’s series” by Rachel Vincent. 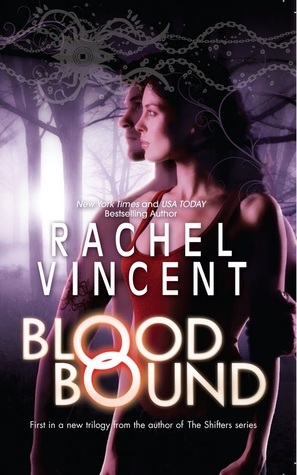 I have Rachel Vincent as one of my FAVE Authors now. =) Can’t wait to read other books from her soon.